We would recommend Result Driven SEO to any medical practice who is looking for a serious SEO service to improve their internet traffic, conversion rate and their bottom line. 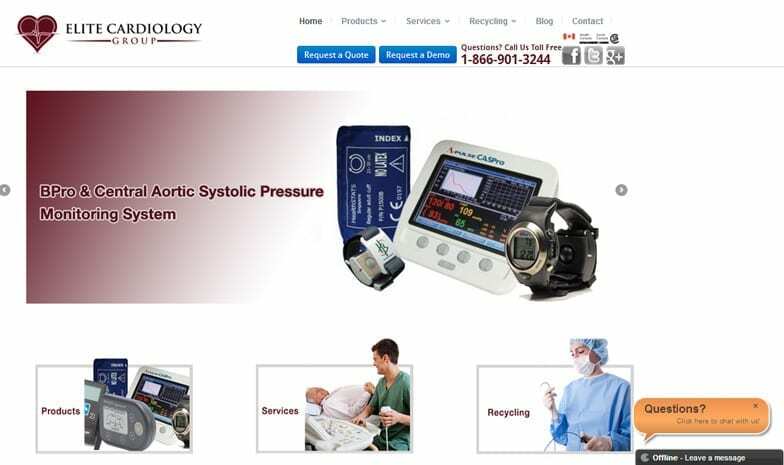 Elite Cardiology Medical Group (ECG) was attempting to extend its market share internationally, moving operations into the United States and other English speaking markets around the world. They felt site visibility through search engines was critical to improving their position and influence in the market. ECG approached Result Driven SEO after carefully considering a series of SEO agencies offering a wide variety of services and price points. The majority of internet traffic for ECG was coming from direct searches on the specific medical practice name. 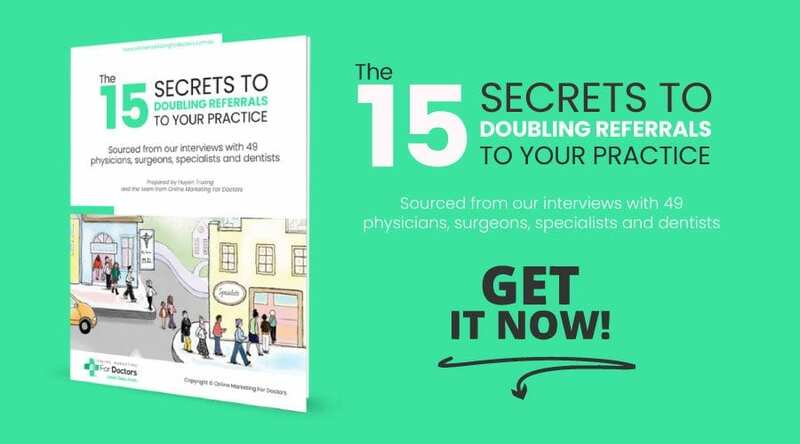 So the medical practice was concerned that its website wasn’t getting the highest possible volume of natural search traffic and had limited visibility in search engine results. ECG decided to hire Result Driven SEO to address the weaknesses in its existing website’s content, visual presentation, conversion elements, site architecture and other technical issues to help drive more web traffic from search engine results to its website. 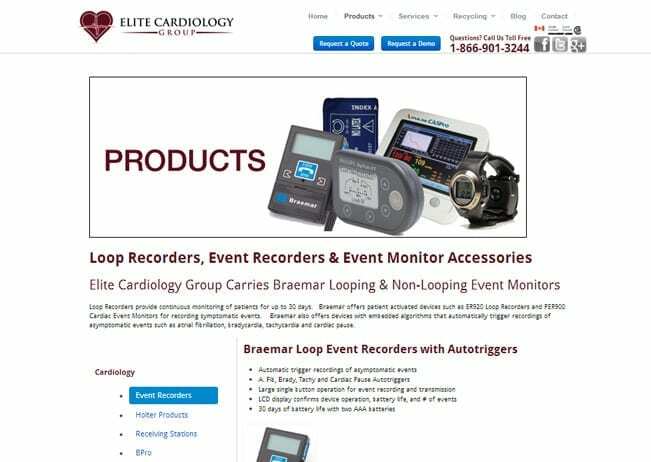 By implementing a number of different SEO best practices to the ECG Medical website, the Result Driven SEO team was able to quadruple search engine traffic within 90 days and bring about a 50% increase in overall site traffic within the same time period. Our approach to increasing ECG’s inbound traffic relied on the use of a number of different white-hat SEO best practices. As described below, our efforts were focused on improving visual presentation, conversion elements of the website, duplicate content concerns, indexing issues, on-page optimisation, link building, content and social media marketing. 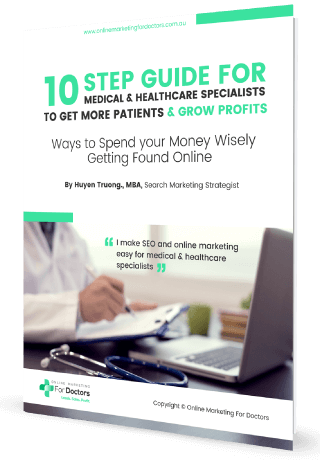 Most SEO medical pratices won’t pay attention to this very important element of your website, but increasing your website’s internet traffic will mean little if you aren’t converting them. Before starting to fix any technical issues on the website, one of our first steps is to review the website considering visual, content and conversion issues as part of our standard SEO technical audit process. We then make recommendations on website copy, images, calls to action, layout, design, engagement and maximising the conversion capability of the website. In many cases, Google was automatically putting the site’s brand name in place of each page’s meta description, resulting in duplication issues. To avoid this, we created unique meta description tags for each page in the website. 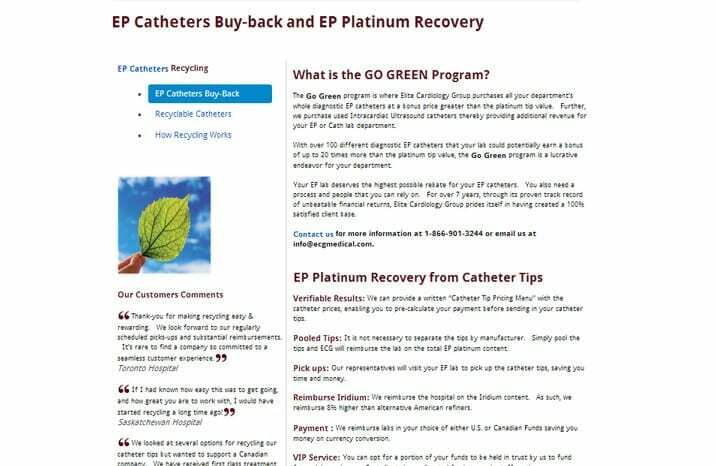 Redirecting http://ecgmedical.com/home/ to http://ecgmedical.com to fix a very common yet deadly SEO error in site structure when there is duplication of the “Home” page and the website domain. By adding “no-follow” tags to unimportant page types (including tag pages, category pages and individual comment pages), we were able to minimise instances of duplicate content detection, while at the same time optimising the use of the site’s crawl budget. 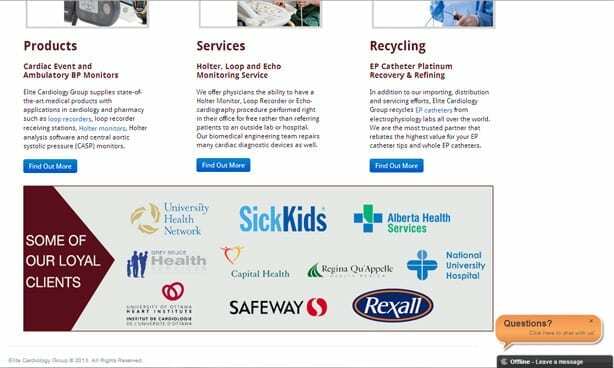 By replacing the “ECG Medical” wording amongst the internal page titles we were able to help each page appear more unique to search engine spiders. We added “related post” links to each page of content on the site to improve site indexing and increase visitor engagement by providing readers with further articles of interest. We fixed meta robot to allow Google bot to index subpages, improved the internal link structure and fixed broken links, 404 pages, and any pagination issues. Optimise image ALT tags and file name attributions to internal content pictures. Headline tags were added to internal pages to give targeted keywords more prominence. Title tags on all internal pages were optimised to provide valuable, keyword rich information to both website visitors and search engine spiders. URLs were rewritten to make them more keyword and SEO friendly: clean, short, keyword-descriptive URLs. Oversized images were resized to help increase the speed that the website loads. Increase participation in and share content on Twitter, Google Plus, Facebook and LinkedIn, following key influencers and decision makers. 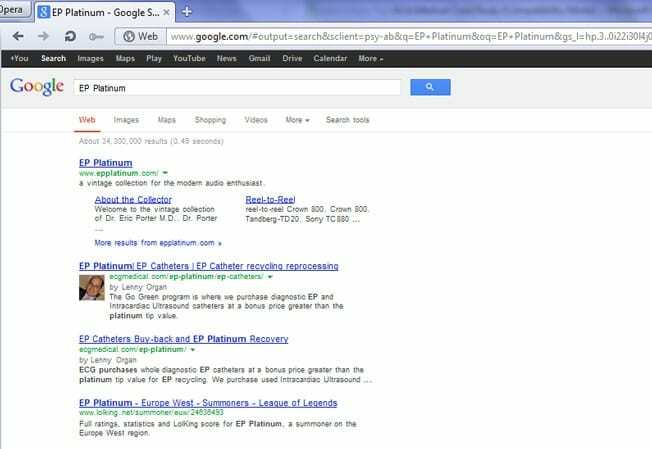 Signed ECG up for Google place and authorship, increasing search engine visibility, higher click through rates. Adding social media share buttons to the website to control the specific sites which users shared ECG content. ECG was encouraged to create regular unique, valuable, SEO friendly content for blogging. Both people and search engines like their web content new and relevant. So blogs are, by nature, an ideal medium for exchanging this type of content. 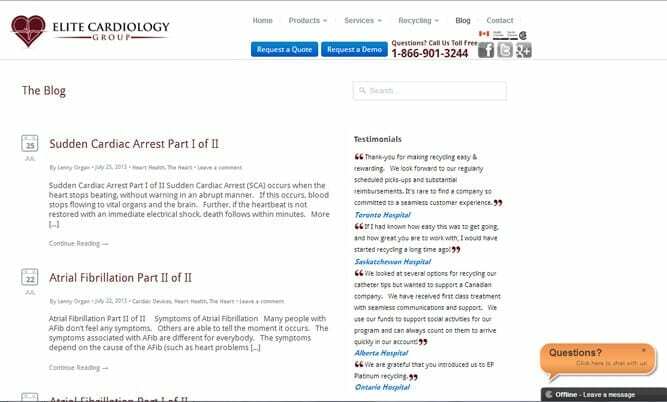 By posting a new blog daily or even weekly gives readers new information and gives search engines the impression that ECG is active and relevant. Whether it’s through social media, blog comments or links to their blog from other sites, they will all help increase ECG’s website authority in search engines, making ECG more visible to readers and helping to spread their content on the internet. Keep in mind that the goal of good search engine optimization shouldn’t be to just increase internet traffic – it should be to increase your overall revenue! While high rankings and more visitors are great, your time and energy is wasted if this traffic isn’t helping to put more money into your pocket. If you’re struggling to make the leap from website optimisation to boosting your conversion rate, get in touch with us. We’ll analyse your medical practice, find the areas that need improvement and provide you a unique tailored solution to your medical practice that’ll bring you the results you desire.